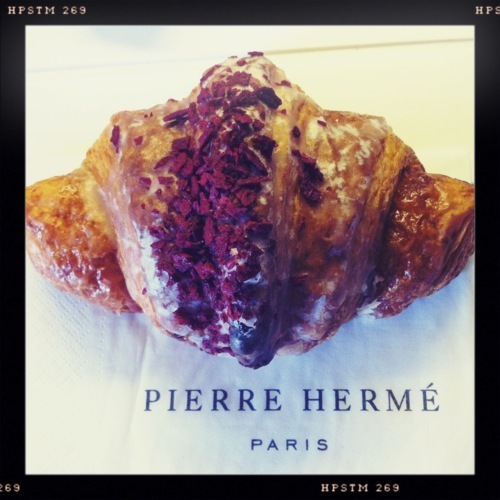 Ispahan Croissant: Ri-Freakin-Diculous | Parlez-Vous Loco? The thing is, I don’t even like raspberries. Sprinkled on some yogurt? Maybe, but not if there’s a blueberry or strawberry around. With chocolate? Please, get your freakin’ fruit off my chocolate. Like you’re gonna say no to that.